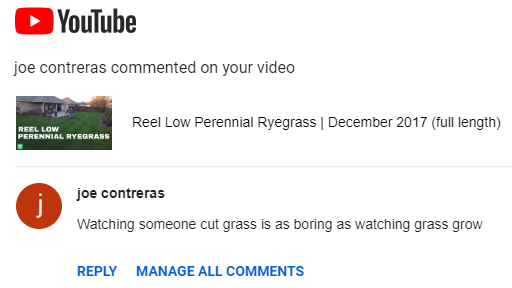 Re: What YouTube Lawn Care Channels are you Subscribed to! I probably follow too many also but favorites being @wardconnor , @Ware, and @thesouthernreelmower . P.S. I love that you are all members here! You three are lawn goals to me because I like the #ReelLow look. An honorable mention is Fried Eggs Golf. He has a golf green with 9 tee boxes all leading to it and I like to watch the work he does on the grass. So while it's not specifically lawn care, there is crossover. I'm going to be working on my chipping green next summer so maybe it's just me. I'll be getting more serious on youtube next summer but trying to upload a few videos here and there this winter to get my feet wet. It's going to be a more fun/goofy/cinematic (just bought a drone! ) 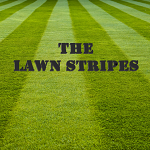 channel for mowing than a deep dive into the ins and outs of the science of growing perfect grass but check it out and give me some feedback! Awesome! Thanks. I’ll keep an eye out for you. Check out my YouTube channel for reel mowing vids: the southern reel mower. I've got quite a few that I subscribe to. Done. Looking forward to the upcoming vids. Thanks for watching @iFisch3224, glad you like them! Lawn Size: 3500 sq ft.
Mower: 214tc Husky, Honda 536. Nice video, fitted one in my garage ,far better than the ali one I had before. I wanted to give another plug to Paul’s Prime Cuts. I think the guy deserves more than just 1,000 or so subs. He knows what he’s talking about and will say when he doesn’t. I’m also suffering withdrawal symptoms from @thegrassfactor not doing his white board vids anymore. I’m also suffering withdrawal symptoms from thegrassfactor not doing his white board vids anymore. +1, @Paulsprimecuts is a member here too. He did cover a lot of topics already. Maybe he needs some ideas? I think he is busy with the production of carbonx. Yes, he went on to fame and fortune — I hope he hasn’t forgotten us little people from along the way. Wish I had some ideas to suggest but it’s the old I don’t know what I don’t know. I emailed Matt last night about a pre emergent that is available here in Aus, He was so helpful. I haven't ever spoke to anyone famous before. Hey bro! I live in Australia as well. If you need any help in regards to pre-emergents let me know! Qualified greenkeeper working on a golfcourse in Australia. 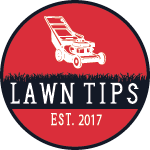 Works with all grass types and also run my own Youtube Channel called 'LawnTips'. Thanks Ben, I purchased a small quantity of Embargo (ORYZALIN) and was wondering if it would work against paspaylum or dallisgrass in the US. I was told it would, unfortunately I seeded the footpath only 12 weeks ago and the couch has not filled in completely as yet, so I will hold off till about March or April and get some protection against poa annua whilst the couch goes dormant. I am using a pgr though to encourage root and lateral growth however only using 15mm per 100m2 at this stage. Again congratulations on the birth of your child. Yeah the PGR will Defs help out in that regard. I would say that maybe 10% of the content is lawn care related but this guy is a mechanical genius and highly entertaining. Last edited by Grass Clippins on Sun Dec 30, 2018 9:12 am, edited 1 time in total. I won't name names...but has anyone else noticed these YouTube Lawn Care Channels getting a little QVC'ish. I realize that YouTube doesn't pay much and people have to make a cut on sales, but I've noticed two ways of going about it. Approach 1 (The LCN Approach) Respecting the viewer's intelligence he gives a quick heads up like "Hey Ya'll here's the sales part..." or whatever he says. I like this approach because he is upfront and sincere. I'm pretty sure he got into the YouTube Game before the masses knew it was so profitable. His passion has turned into a full time well paying job. He was ahead of the curve, good for him. Approach 2 (The Other Way - Monetize It) This could also be referred to as the "I'm trying my @ss off to make as much money as possible, which is fine, but I'm doing it in a sneaky way" approach. I feel the non-disclosed coupon code is the sneakiest of the sneaky ways to misuse and lose someone's trust. When someone says they've worked really hard to get a get a coupon code for EVERYTHING they endorse just to be a nice guy, they're full of it. You may have fooled people(me) the first few times but EVERY SINGLE TIME NOW! Be honest about your motives, people don't care that it's just a sales pitch, if they like you they'll still buy it. **The Amazon Store Front is a good honest way to generate profit, do that. There is an endless number of quality products to review & endorse. Last edited by Grass Clippins on Wed Jan 02, 2019 8:08 pm, edited 1 time in total. Sod Solutions is my newest channel and is a great for turf information. It goes into depth on high traffic turf areas and quick recovery methods. Am I missing anyone besides the Doc? 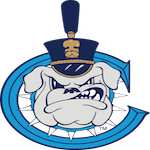 Last edited by TheTurfTamer on Tue Jan 29, 2019 11:38 am, edited 2 times in total. I can tell spring is almost here - YouTube comments are starting to pick up. Forget soil temps or forsythia blooming - I'm going to start timing my pre-e apps when the negative YouTube comments start showing up. Watching grass grow in 4k is actually pretty cool.